A responsive website design dramatically adapts itself to all mobile platforms, such as tablets, laptops and smartphones. It also manipulates the minimum and maximum pixel widths of a website from data provided via Cascading Style Sheets (CSS), which tells a website how it’s layout, colors, and fonts should look to the front-end user on their mobile device. Having a responsive website design is especially necessary for businesses who have a high volume of consumers who access their information through smartphones. According to current Web traffic trends, smartphones continue to be the most preferred method of communication; therefore, designing a responsive website is a very proactive and responsible way to best serve a large volume of smartphone users quickly and easily. Why is Responsible Website Design So Important? 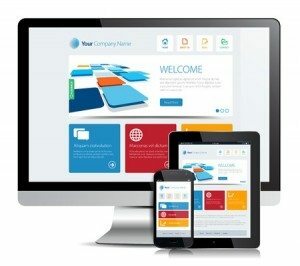 When a business makes the decision to launch their website using a responsive design, it optimizes the website’s SEO and allows the end-user to see the business’s site more clearly on their mobile device which tends to make them want to visit the site much longer and potentially convert as a customer. Responsive website design is a technology that is still relatively new but in all respects, is extremely compatible to the smartphone platform. However, designing a responsive website is a daunting task when trying to integrate it with an already existing website. However, unless businesses serve consumers who use smartphones, their percentage of conversion under this specific demographic will be much lower. In order to make the process of reworking a website to adapt to the average consumer’s preferred mode of communication, a business needs to find an online marketing expert who can create marketing strategies that generate more leads and sales. Designing a responsive website depends on how extensively the business wants to accommodate smartphone users when delivering content on smaller screens. For example, if a large image is a part of a business’s template as a background (CSS) or as an img (HTML), they might need to decide whether or not they will have to shorten their content so that it displays correctly on a smartphone screen. Additionally, they may need to omit special features from their site to speed up load times. Lastly, they may need to ensure that the content posted on their site is logically ordered. Sanctuary Marketing Group is a credible online source that provides Responsive Website Design as a standard element in every site they create so that a business can make their site more accessible to a smartphone friendly audience. A recent article written in Canton, OH reported a recent study that revealed that 60 percent of U.S. smartphone users won’t go an hour without checking their devices. That’s good news for a business that wants to expand their sales from a physical location to a fully functional website. Although a business should not specifically try to transform their website to a mobile version of the original, it will need to re-code their CSS and templates to make it responsive to all mobile devices, particularly smartphones.